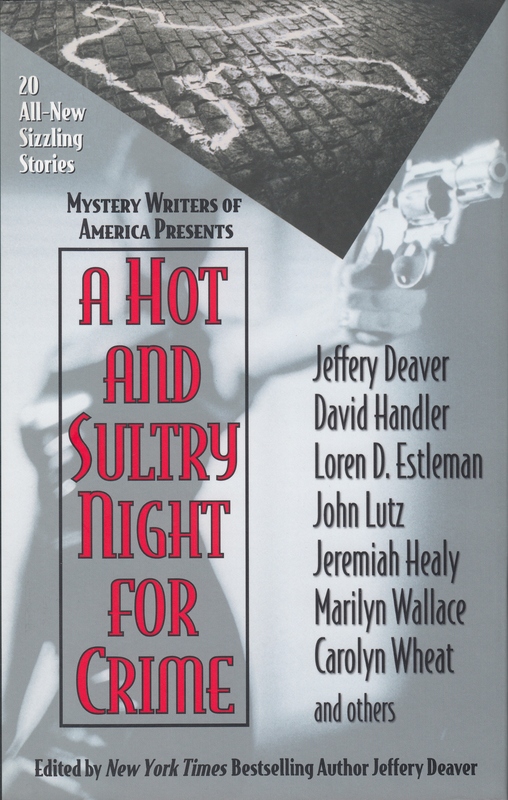 Temperatures rise and tempers flare in twenty classic short stories by the mystery world’s finest authors, set in hot climates where jealousy, greed, and murderous rage reach the boiling point. 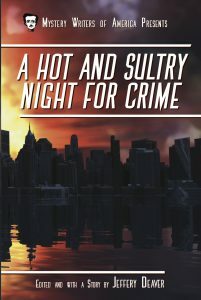 New introductions along with editor Jeffery Deaver’s new general introduction, is a way of heating up the reading of late summer. 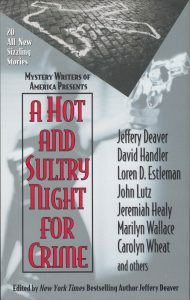 Contributing authors are David Bart, Gary Brandner, Sinclair Browning, Alan Cook, Mat Coward, Jeffery Deaver, Loren D. Estleman, Robert Lee Hall, David Handler, G. Miki Hayden, Jeremiah Healy, Suzanne C. Johnson, Toni L.P. Kelner, Ronnie Klaskin, John Lutz, Tim Myers, Ana Rainwater, Marilyn Wallace, Carolyn Wheat, and Angela Zeman.